If you’re shopping for a new family sedan, you’ve got a big decision ahead of you. 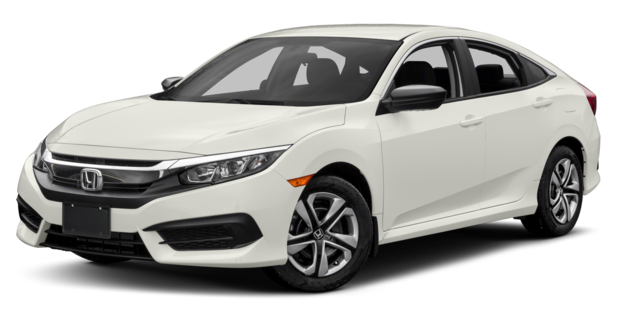 Fortunately, Brilliance Honda of Crystal Lake has put together this comparison of two leading models: the 2017 Honda Civic and the 2017 Nissan Sentra. Either of these sedans could meet your basic transportation needs, but if you value for superior safety scores and fuel economy, the choice is simple. Check out this comparison today! Which Sedan Will You Choose? The 2017 Honda Civic LX with a continuously variable transmission and front-wheel drive gets 31 mpg city/40 mpg highway/34 mpg combined*. The 2017 Toyota Corolla L with CVT and front-wheel drive only reaches 28 mpg city/36 mpg highway/32 mpg combined. That translates to big savings on fuel, which will keep your wallet happy. Another area to consider is safety. The National Highway Traffic and Safety Administration puts all new cars through an extensive series of crash tests to ensure they’ll keep your family safe. While the Civic received five stars** in each and every category, the Nissan Sentra couldn’t compete. It only received four stars in the front passenger crash test, overall front crash test, and rollover safety rating. All in all, it’s something to keep in mind if you’re going to navigate the rough roads of Elgin with your family. At Brilliance Honda of Crystal Lake, we’re proud to unveil the winner of this comparison: the 2017 Honda Civic! This premium sedan is a hit with drivers and critics alike, and even when compared to the exciting Chevy Cruze, it manages to come out on top. Be sure to apply for financing before you come check out the Civic. You can even set up a test drive online to reserve your spot. Don’t wait! Visit Brilliance Honda of Crystal Lake at 680 W. Terra Cotta Ave. today to see the Civic for yourself.